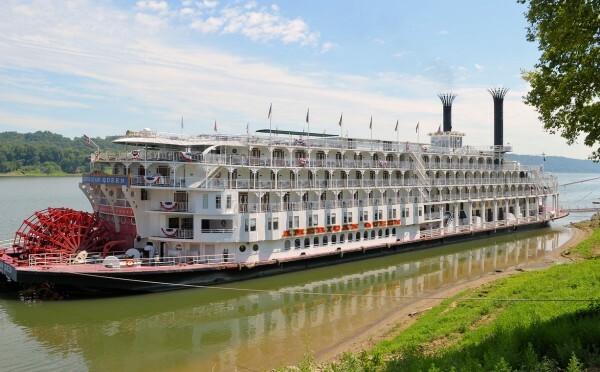 Step aboard the most opulent steam powered ship ever built, The American Queen steamboat and enjoy a unique luxury river cruise when you journey along the mighty rivers that serve as America’s natural highways. Along the way you’ll discover a side to America that few see, exploring the history, heritage and culture of charming riverside cities. Make the American Queen your home for the festive season as you explore the quaint southern towns, perched along the mighty Mississippi. Experience a true southern Christmas with carol concerts, Christmas markets and visits to magnificent plantation homes adorned with delightfully over-the-top decorations! Or, start the New Year off with a bang as you enjoy a glittering gala in the elegant Grand Saloon on the American Queen. Be one of the select few who can claim to have celebrated New Year’s Eve aboard the world’s grandest and most majestic riverboat. Our nine-day Christmas & New Year American Queen steamboat holidays showcase the diversity and drama of the Lower Mississippi. From the legendary jazz of New Orleans to the battlefields of Vicksburg, immerse yourself in the USA’s southern culture. Discover the romance and antebellum charms of famous plantations like Oak Alley or Nottoway. You’ll adore St. Francisville which boasts more than 140 buildings on the National Register of Historic Places. Baton Rouge is the capital of Louisiana and you’ll be amazed by the city’s colorful history and larger-than-life political figures.